This Birmingham Father's Day Weekend is PACKED with Festivals and a lot of them are FREE! Don’t miss out on all of the fantastic festivities this weekend in Birmingham! The best part about this weekend is that is is FULL of FREE stuff to do as you celebrate Father's Day! There are also reasonably priced festivals that are sure to keep you rockin’ all weekend! Check below for all of the details! Head to this years S'mores & Pours -- presented by Vulcan Value Partners for a fun evening of local brews & wine, delicious food, silent auction, and live music at Avondale Brewing Company! This has become a favorite event in Birmingham! All proceeds benefit Camp Fire Alabama programs and initiatives for children, youth, and families in our community. It's time for an evening of song and stories at the Clubhouse on Highland at InSpero's Fourth Annual Magic City Storytellers on Thursday, June 14, 2018. Tickets sold out last year so get yours now! The 2018 line-up includes singer/songwriters Wilder Adkins and Nathan Peek, writers Russell Hehn and Kristen Iskandrian, as well as poets Salaam Green and Maria Vargas. Come for wine and cheese on the patio at 6 p.m. Performances begin at 7. Intermission features desserts and a coffee bar by The Neighborhood Brew. Evening concludes at 9. Suggested donation of $10. Last week we had so much fun at the 1st Sound of Summer event! Bring your chairs and blankets (they’ll have extra blankets on hand) and enjoy a great band in the Saks Plaza! This is the perfect place to bring your kids for a relaxing and fun evening! This week, don’t miss music from “The Editors.” Remember, you can get food from Taco Mama or Cowfish once you arrive! See you there! Join in for the fifth night of the series on Friday, June 15 from 5-9 PM. Delight in live music from Swingus Khan, a Tuscaloosa-based band offering a variety of jazzy and funky music. Grab a tasty treat from Magic City Sweet Ice. Complimentary face painting will be provided by Magic City Face Art, making Birmingham Art Crawl at the Village an entertaining evening for all! Restaurants will have specials, shops and galleries will be open late (5-8 pm), catch the shows you may miss during the day, shop for gifts while enjoying a refreshment. 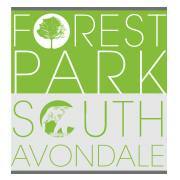 Enjoy the social scene of Forest Park after hours. Featured in the New York Times, the Tour de Loo is a favorite part of the Third Friday events: discover how local artists transform the Forest Park merchants' loos into art installations from 5 to 8 pm, visit the loos for an art experience unique to Forest Park! The Little Sundress Party is back!! June 15th--one night only at Tin Roof Birmingham, it's Echosmith + We The Kings!!! Proceeds benefit Children's of Alabama. This is a 18+ event, doors at 6:30pm show starts at 7:30pm. The first 200 tickets are only $10.37 each!! VIP tickets available for $40--includes entrance into the Little Sundress Party, VIP stage access, and meet/greet with all artists! This event is powered by Dirty Hippie, the official Sundress shopping destination! Celebrate the opening weekend of our new exhibition The Original Makers with a FREE fun-filled day at the Museum! --Art Activities, Main Lobby, 10am - 2pm --Artist Demonstrations by Black Belt Treasures, Cafe, 10am - 2pm --Face Painting, Sculpture Garden, 10am - 2pm --Pop-Up Restaurant by Hot Tag, Sculpture Garden, 11am-2pm--Alabama Animals from the Birmingham Zoo, Sculpture Garden, 11am-12pm--Alabama Artist Scavenger Hunt, Galleries, 10am - 2pm--Live Music feat. The Cedric Burnside Project, Upper Plaza, 1:00 pm-2pm! Don’t miss out on this fun filled day at BMA! Click here for more info. SliceFest 2018 celebrates its 7th anniversary as Birmingham's largest food & music block party hosted by Slice Pizza & Brewhouse! If you love music, great food and brews, giving back and Birmingham then you don’t want to miss this festival. Slice Pizza & Brewhouse hosts the event to celebrate the restaurant’s anniversary and thank the Birmingham community for their continuous support. Over the past 6 years the event has grown to a full-blown festival bringing in local and regional music talent paired with local craft beer and specialty pizzas. Enjoy TWO stages and a lot of surprises! This event has plenty of kids activities throughout the afternoon! Join in for a funky good time at Cahaba Brewing Company ! They'll have tasty food from these top Birmingham food trucks: Granny's Fish 'N Grits, Lazy Boy BBQ, Taco Morro Loco, Dixieland Funnel Cakes and NOLA Ice. They'll even have treats from Fetch - A Treat Truck for Dogs for your four-legged friends! Enjoy the fun while sipping on refreshing Cahaba brews. Donations benefit AIDS Alabama's programs and the suggested donation is just $5. Don't miss this funky event! The public is invited to a “Pop-up Dog Park & Community Movie Night” on Saturday, June 16 at Brother Bryan Park. The Five Points Alliance and Five Points South Neighborhood Association are collaborating to offer this day of dog park play and movies for the community featuring The Goonies. The idea of the pop-up dog park originated from a community-planning meeting last year. Come bring your dogs and enjoy the park. The film starts at 8:15pm! There will be food trucks on site! Once again, the Center is proud to present the fifth-annual LOCAL – a celebration of everything Alabama. Kick off your summer at this outdoor and family-friendly event. Shop your favorite Alabama farmers, artists and vendors while enjoying live performances by local musicians. All your favorite food trucks will be on site when it’s time for a bite to eat. LOCAL is the perfect event for everyone who loves to call this great state home! We had SUCH a fun time last year! Join the Birmingham Zoo on Saturday to kick-off the fourth annual Zoo, Brews and Full Moon Bar-B-Que event! Craft beer fans will love the selection of drinks from some of the finest specialty brews around. Enjoy drinks from over a dozen breweries from all over Alabama and the southeast. In addition to beer, there will be plenty of other libations, including wines and non-alcoholic beverages. Attendees will enjoy a tasty dinner provided by Full Moon Bar-B-Que! NOTE: This Father's Day, enjoy a FREE Kid's Admission with the purchase of an Adult ticket! Click here for more info. Continuing the Jazz in the Park Series, the Official Clutch Band will be performing at East Lake Park on June 17! Come and celebrate Father’s Day! It is FREE ADMISSION and open to the public. Invite your friends and family to come have a good time. This will be a show you do not want to miss. Please feel free to SHARE this event. Let the Iron and Creativity Flow at Sloss Metal Arts “Bowl-O-Rama”!